Kim Chung Ha will be featuring as a guest at IU's upcoming concert. The two female soloists will be sharing the same stage at IU's 'IU Concert dlwlrma' at Kwangju Women's University on November 11. Fans are looking forward to the mix of Kim Chung Ha's dance hits like "Roller Coaster" and "Love U" and IU's singer-songwriter style tracks. Following Kwangju, IU is expected to stop by Seoul, Hong Kong, Singapore, Bangkok, and Taipei for her concert tour, '2018 IU 10th Anniversary Tour Concert <??? dlwlrma>'. 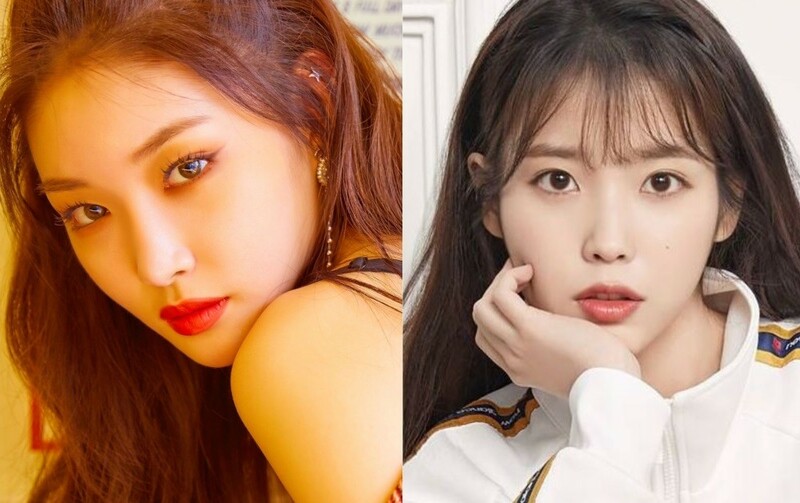 What do you think of a stage featuring IU and Kim Chung Ha? At least the site spelled Chungha's name right this time.